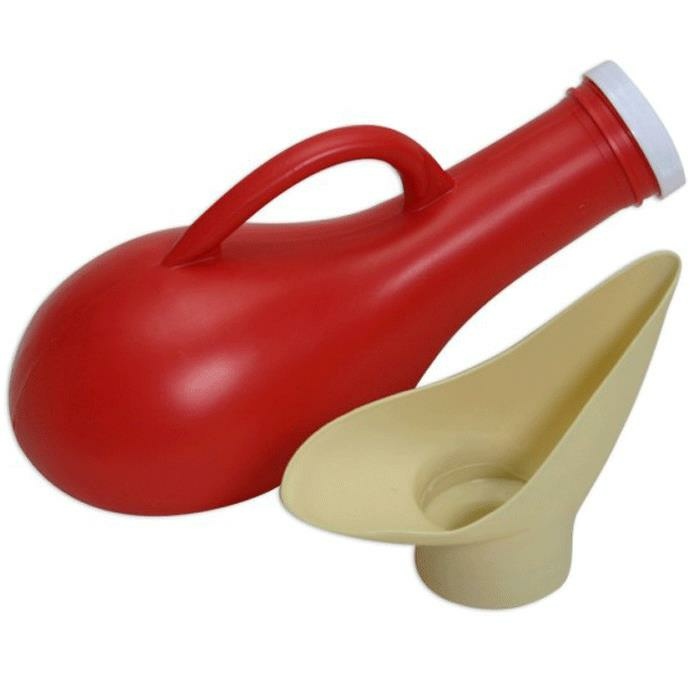 Rose Healthcare Unisex Portable Urinal is ideal for bedridden, handicapped and traveling. It has screw-tight lid and female spill-proof adapter. The Urinal is made of unbreakable polyurethane and holds 28 ounce.